The beach communities that dot the landscape along a drive down Scenic Highway 30A in South Walton county Florida have become some of the most sought after destinations anywhere in the Eastern United States. 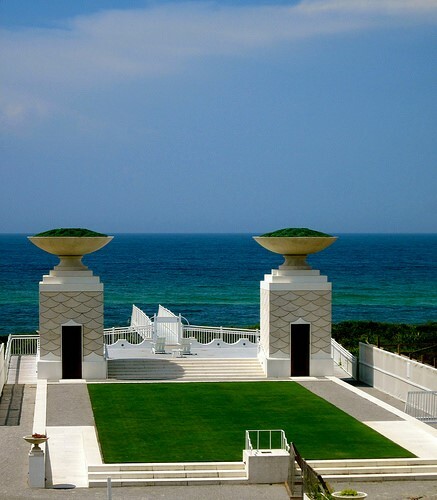 Many consider the master planned community of Alys Beach to be the crown jewel of Florida’s Emerald Coast. This 158 acre community has been master planned by the award winning group Duaney Plater-Zyberk & Company out of Miami Florida. Their vision has resulted in the creation of a truly luxurious “new urbanism” beachside town that reflects “state of the art” aesthetic, architectural design and quality of construction. Set against 1,500 feet of some of the most pristine beach in the world, Alys Beach is an “oasis of luxury with a distinct Mediterranean feel.” The architecture has been inspired by towns found in Antigua and Greece with a clever mix of living space and understated retail, restaurant amenities all within a few steps from your front door. Designed and constructed for the most discerning of property owners, these luxury beach homes feature top of the line finishes, cozy fireplaces and central courtyards designed to maximize the enjoyment of ocean breezes in a very private living environment. There are many adjectives that have been used to describe this epitome of unparalleled residential and vacation appeal; suffice it to say that you owe it to yourself to see Alys Beach next time you are here along Scenic Highway 30A. Alys Beach is truly “world class”.